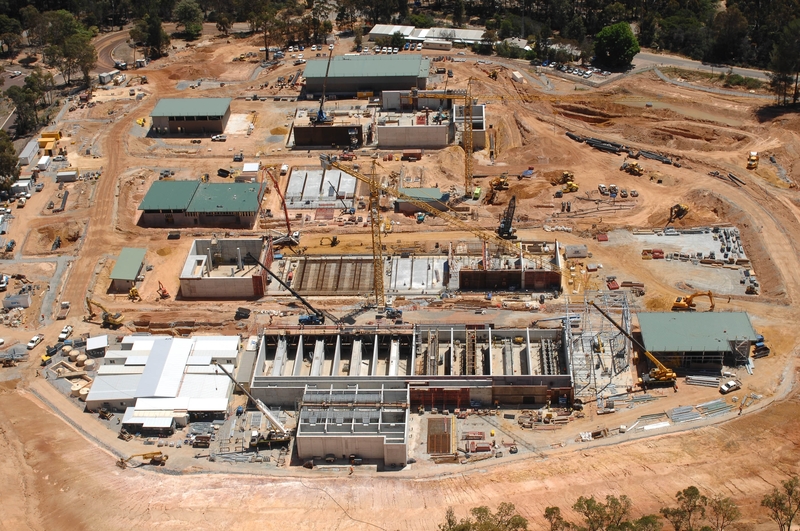 The $300 million Mundaring Weir Water Supply Improvement Project (WWSIP) involves the construction of several new assets at or near Mundaring Weir, including a new water treatment plant, pump station and pipelines. : ST Spatial had a project team on site supplying up to 3 survey crews. Initially ST Spatial was engaged by Brookfield Multiplex as the Project Surveyors responsible for all setout and as constructed drawings for the entire infrastructure on site. This includes all underground and above ground services, earthworks, pipelines, and concrete structures. GMF Contractors engaged ST Spatial for the survey of all the earthworks, road construction and car parks on the project. Cobey Industries engaged ST Spatial for the survey of all underground pipework. Amec engaged ST Spatial for the survey of all above ground pipework, tanks, machine and pump assemblies and infrastructure. Logic engaged ST Spatial for the survey of all electrical conduits and cable. Samwell engaged ST Spatial for the survey of all site drainage and pipeworks. 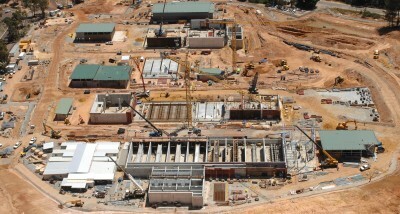 D+Z Constructions engaged ST Spatial for the survey of all concrete structures and DAFF tanks on site. ST Spatial was also responsible for the as constructed model, which was a key tool for the completion of dig permits ensuring that subsequent excavation did no damage prior installed services.